As an elementary teacher, I hope to inspire my students to reach their full potential and to love learning. As a mother, I hope to inspire my child…when in reality, he inspires me! As a blogger, I thoroughly enjoy inspiring others with the tales of my occasional successes and my many mishaps! Not only do I enjoy inspiring others with this site, but I am inspired on a daily basis by other bloggers that share their stories! 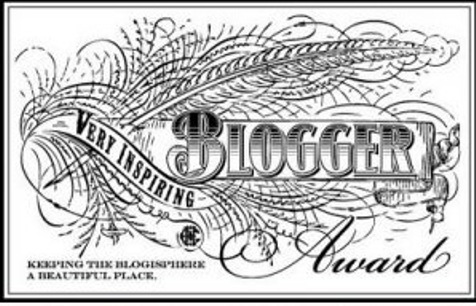 For these reasons, I am thrilled to have been nominated for The Very Inspiring Blogger Award! A huge “thank you” to Oster’s Mom at discover and devour. If you have visited discover and devour, it is clear to see how the writing and style is inspiring! If you haven’t visited, I would encourage you to do so. Oster’s Mom has truly been inspirational to me! Thank you, friend! 1. Thank the person that nominated you… Thanks again, discover and devour! A visit to any of these sites is worth it, even on your craziest days! I have anxiety about ferry lines. Will the driver in front of me return in time? Are we in the right line? Was there a tip suggesting that a sniffing dog was necessary? I have started writing a book for educators that will help them understand the 2e children in their classrooms. I am quite sure that I would have several IEP goals, if I was in school these days! Thank you for your kind words, mon ami! I enjoy your list and I laughed out loud at your #7! As I sat in on IEP meetings over the years, I have always thought about what my goals would have looked like. I, too, would of had them. It’s exciting to read about you writing a book for educators. Yay! I can’t wait for it to come out. Oh yes, I would have several goals! I did see the SLP in first grade, but there would have been more! In terms of the book…being a teacher and parent of a 2e child, I have specific ideas that come from both perspectives. There is so much misunderstanding (at even really good schools) about these kids! I know the type of book that teachers will buy and spend their limited time reading. Yay!! I’m so excited for your award!! CONGRATULATIONS!! Your blog has been so helpful to me. It has given me have the confidence to not feel like I have to always apologize for my child. It also has helped my not have to always describe him as “quirky”. I cannot wait for you book to come out I will buy one for his teachers every year!! Carrie-you are so sweet! Comments like yours, make writing this blog so rewarding! I thank you! This has been empowering for me too in terms of trying not to let other people’s comments make me sensitive about my parenting. You are so welcome! Congrats to you! Thank you for this! So fun to have others to share my experience!!! Random questions, how did you connect/create a link to others blogs on your post? you are so welcome! I love your site! In terms of the linking…when you are writing your draft, you highlight the name and then above in the bar (where you can bold and do other things) you will see a picture of what looks like a single chain link. When you click on that it will open up a window where you put the address and then the site name. If you double check it and it didn’t work, there should be a picture of a single broken link and you would click that and try again. I hope that helps! Thank you so much, Kelly! I am honored to be recognized by someone who I enjoy reading so much. Thank you for the kind words! I love the blog. It has brought me a sense of purpose and community that I wasn’t expecting! You are SO welcome! I always look forward to your posts! Your writing and pictures bring your family stories to life! 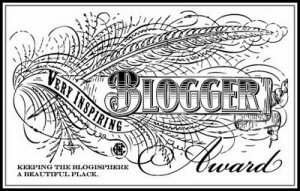 Thank you for nominating my blog. It is always good to know that others enjoy the same things that you do. I will be checking out the other mentioned blogs also. Please keep writing your interesting articles and never stop blogging. There will always be those whose children may be helped through your insights. Your articles also give many new parents comfort in seeing how you handle situations successfully. Thank you once again…and I am a continuing reader of your blog.